Without C-Suite Support, Your SharePoint Project Is Bound To Fail | Blue Mountain Data Systems Inc.
Just the mention of SharePoint causes anxiety for some CIOs these days–and with good reason. When polled about their SharePoint projects, two out of three organizations complain that their projects have stalled or failed to live up to their expectations. To add insult to injury, most organizations cite lack of senior management support as the reason. 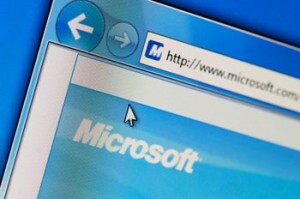 Surprisingly, most enterprises that responded to the survey (75 percent) are sticking with SharePoint. They claim they’re committed to making it work, with a substantial number looking at the Office 365 Online version to complement or replace their on-premises version. When SharePoint executives take to the stage at Microsoft’s Ignite conference this May that they will hammer home the necessity of proper deployment. SharePoint only works if it has been planned into an enterprise’s wider information management infrastructure, something only members of the C-Suite can make happen. 14 percent of respondents have SharePoint connected to their other enterprise content or document management systems, which seriously curtails its ability to carry out enterprise search or act as an access portal. Furthermore, 48 percent still have work to do to align their SharePoint deployments with Information Governance (IG) policies. One in five have no IG policies in place around SharePoint at all. This could help explain why adoption rates are so low and why so many organizations feel that their deployments have stalled. Report author Doug Miles, director of Market Intelligence at AIIM, blamed user’s complaints, including restricted functionality, on poor training and governance. Despite this, fewer than 8 percent are considering a replacing SharePoint and only one percent have actually done so. Some organizations are still using the very first 2003 version of SharePoint — another reflection of the poor management of enterprise content. For more information regarding the SharePoint survey findings, see the full CMS Wire article and AIIM report.